Weekend MaxMara is MaxMara's line of chic outdoor clothing, launched in 1984, reflecting the timeless, sleek and classic aesthetics of the brand. 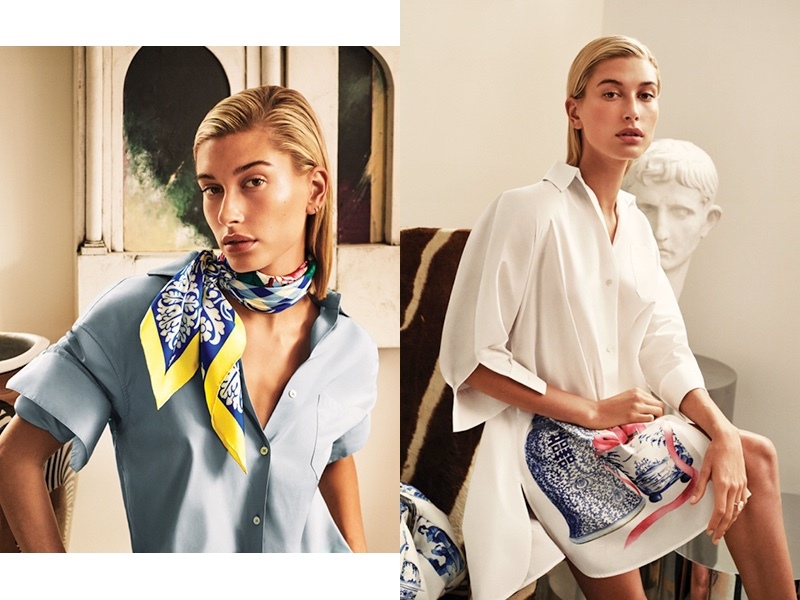 Posing for the Weekend MaxMara 'Nantucket' Spring/Summer 2019 Campaign is supermodel Hailey Baldwin, who wears a series of bright and stylish separates. The 12 piece capsule collection sees the collaboration between Weekend MaxMara and interior designer Anthony Baratta, and offers an array of heavy prints. Large florals, gingham prints and stripes dominate the collection along with the colour palette of yellow, red and blue which makes a statement.